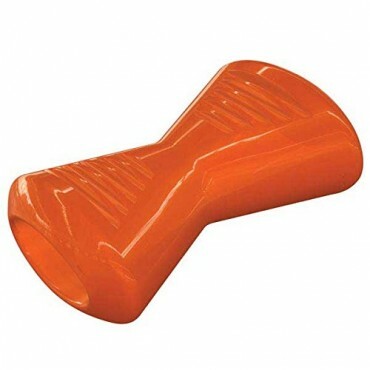 The Bionic Bone was made to ensure it fits naturally in the curvature of the canine mouth. 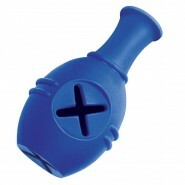 The ridges across the top give your dog the feeling that they are chewing through the toy - keeping them interested in it for months! 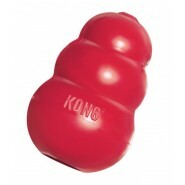 Its unique interior shape provides strength for even the most aggressive chewers. 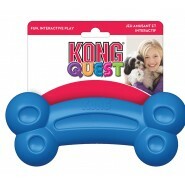 The opening on the Bionic Bone is designed to be the perfect place to put treats, dog bones and peanut butter. When your dog is done, simply throw the toy in the dishwasher for easy cleaning!